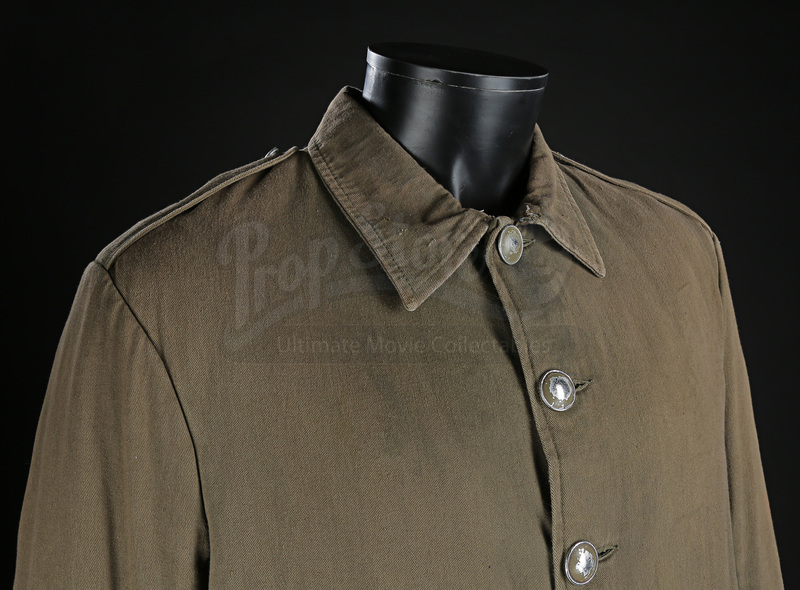 A Chinese prison guard costume jacket from the explosive adventure: Batman Begins (2005). 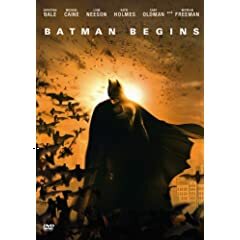 After losing his parents in a tragic armed robbery, young billionaire Bruce Wayne (Christian Bale) turns to a life of vigilantism and becomes the saviour of Gotham City, Batman. This uniform and others like were worn by prison guards during the scenes in which Bruce Wayne (Christian Bale) is an inmate in the Bhutanese prison camp. The costume is made up of an Army green cotton jacket and trousers. The jacket is padded on the inside and features five off-centre metal buttons at the front, all of which have been painted the same green and intentionally distressed to show the metal underneath. The trousers feature a zip fastening, two side pockets and patches on the knees in the same fabric. A label reading ‘R.MILES’, faded in black ink is attached at the neck of the jacket. The costume features further signs of intentional distressing including minor holes on the sleeves and grey paint on the button holes. This set remains in very good production-used condition.